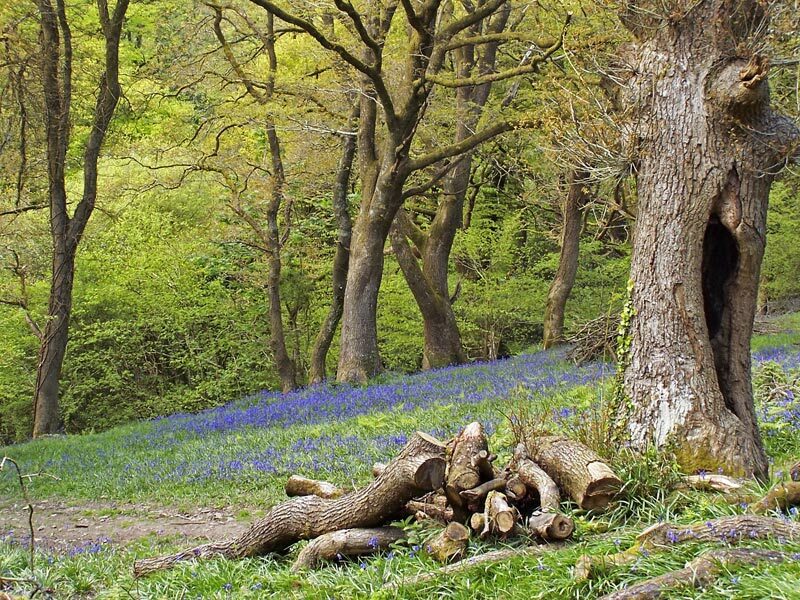 The local woodlands here in the south west of the UK erupt in a riot of bluebells every year about this time. Although these are "managed" woodlands, there is nothing artificial about the flowers here - these are completely wild and unmanaged, hope you like them! Both are great shots! The second one makes me think that Robin Hood could appear on that branch anytime! Love it...a little slice of heaven. The location seems to be quiet nice. I bet that with a little better framing, you could catch a nicer picture. The ones you posted just don't have the right composition. I guess it depends on what you're after: a snap shot or photo. The pictures your posted make nice snapshots. Better composition is what makes nice photos. I think that's a bit harsh. I like the 2nd photo, the composition is nice, the tree forms a nice frame, there is good texture and colour. But I do agree that perhaps it's missing a focal point. I think that a person (perhaps the photographer) in the bluebells somewhere under the tree would add that and improve the shot. Probably follow the rule-of-thirds for placement. Without an object as focal point you might have been able to do something special with the light at a different time of day. Otherwise I played with levels, contrast, saturation and sharpening a bit to give it a slight boost. These are both nice. #2 is very nice. I think the edit offered is over the top and lost all the "In-the-Woods" feel. Well I assure you they weren't snapped, more like trying to make the best out of a tricky location! However, I should make it clear that I'd much rather you replied honestly as you did, than say nothing at all. The second shot is interesting: It's a composite (panorama photo merge) of two images, autostitch took a long time to do the merge, so I went off and made a drink, and found the image waiting for me when I got back - it gave me a real "Ooo I like that one!" moment. Strange thing is a week later I wasn't sure if I still liked it so much or not, I think the thing is it's a nice frame (the tree), nice backdrop (the bluebells), but no real focal point. So maybe the mixed reactions here were already echoed in my own feelings (and I still don't know which is right! ).